Peter appears, brandishing the as-yet-unreleased Trespass. He plays three tracks: “Stagnation,” “Looking for Someone,” “The Knife.” Truth be told, I don’t quite know what to make of it. I don’t think much of the drumming -- it’s a little clumsy, and there’s not much groove. There are some soft harmonies that remind me of Crosby, Stills & Nash. But the whole record seems like a ... blancmange. You could put your finger in it and it would somehow reseal. Ronnie [Caryl] goes off to give it a shot on the 12-string with Mike. Then, once Mike reappears, I finally get my turn. We move on to the terrace. Based on that quick, one-off exposure to the tracks from Trespass -- an album with only six tracks, each averaging seven minutes -- I’m trying to get a feel for Genesis. Now, as Tony starts on piano, Mike on guitar and Peter on his bass drum (he reckons himself a drummer, which will prove perilous in the months and years ahead), I have to join in with whatever I feel appropriate at the required moments. We do three or four songs, including Trespass’s epic closer “The Knife,” and some acoustic bits, to see how sensitive I really am to acoustic music. Ronnie and I gather up our guitars and drums, load up the Morris Minor and start heading back to London, back to the real world. “Really?” I reply. “No, I thought I did all right.” We’re arguing again already. But as we approach the outskirts of London I start to feel less sure about how well I did. I couldn’t read those guys. Neither Peter nor Mike nor Tony said, “That was really great!” No one was going to speak up; it’s not in their make-up. They’d have a serious conversation about it afterward. 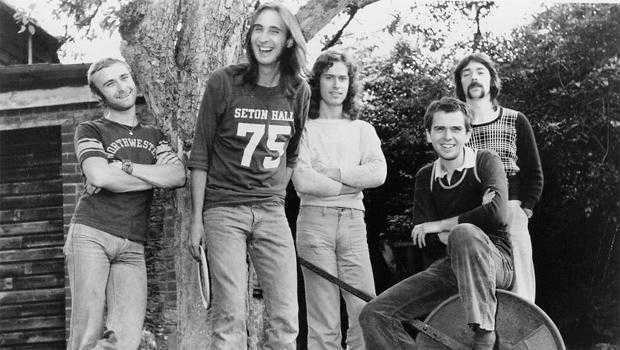 In their own good time, without being rushed by anyone -- and certainly not an eager jobbing drummer from Hounslow -- Genesis would reach a decision. I later learn that Peter knew the moment I sat down that I was the guy; seemingly the assured way I set up my kit was telling. Mike was less convinced. Tony felt quietly confident. History does not record the opinion of Mrs. Gabriel. I try to play it cool, but inside I’m jumping. I’ve finally found a band; or a band has found me. At last I’m going to play drums in front of people. It doesn’t get much better than that. 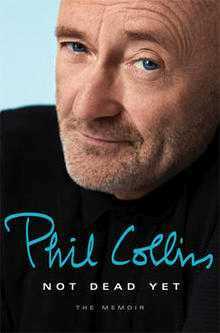 Excerpted from “Not Dead Yet: The Memoir,” by Phil Collins. Copyright © 2016 by Philip Collins Limited. Published by Crown Archetype, an imprint of the Crown Publishing Group, a division of Penguin Random House LLC. To listen to Genesis perform “Misunderstanding,” from their 1980 album, “Duke” -- their first Number One album in the U.K. -- click on the video player below.